Choosing exterior vinyl siding colors that cater to your personal tastes and work for your home’s style and architecture can be a quite daunting. 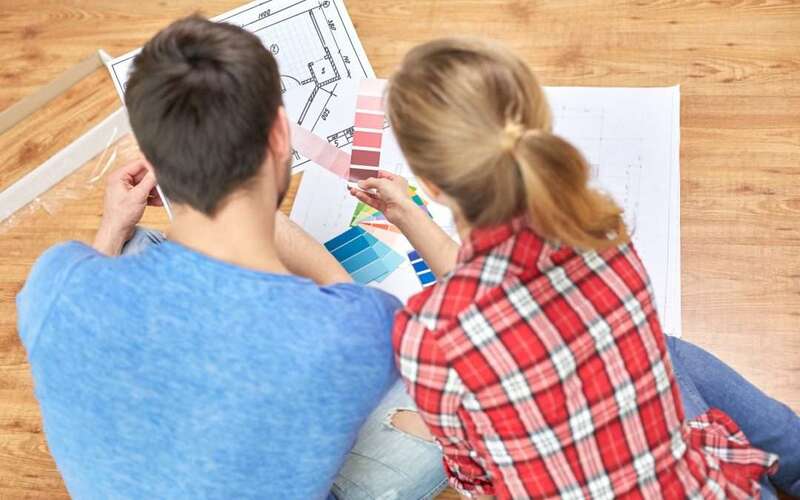 After all, the exterior of your house is the most public design decision you will ever make and, unlike a coat of paint on the inside of your house, your choice of exterior vinyl siding colors is fairly permanent and not easy to redo. Simplify your decision by starting with a selection of no-fail color combinations. Get inspired by these eye-catching vinyl siding color schemes and start to consider what colors appeal to your tastes. What look are you aiming to achieve? A refined, elegant look? A minimalist look? Perhaps a look that’s bold and distinctive? No matter what your vision, choose from the following vinyl siding color combinations, and you can be confident that you’ll boost your home’s curb appeal by creating a stunning masterpiece that is sure to be a neighborhood show-stopper. 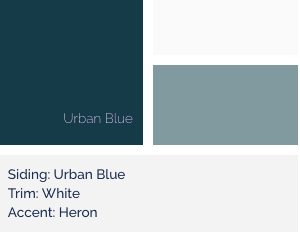 Combine the sophisticated shade of Urban Blue with the softness of White trim and Heron accents to create a bold elegant look reminiscent of a seaside manor. As strong and clean as stainless steel, Boulder Gray has the hue to fit any home. 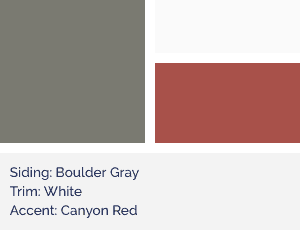 Pair this versatile gray with white trim and Canyon Red accents to create a rock-solid look. Wrap your home in warmth with the strong, richness of Java Brown. Tone down the look with Tan trim and Clay accents to create a comforting neutral palette. This color combination exudes sophistication and elegance with its muted blue-gray color palette. Manor hovers between smoky charcoal and pure black for a refreshingly bold look. This rich shade is a true expression of individuality. 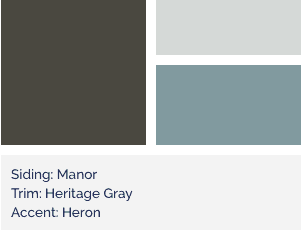 Soften the look with Heritage Gray trim and accents in Heron. If you want a color that will make an impact without being too daring, a little Spice will suit you nice! Punch it up with Sandstone trim and Barn Red accents. 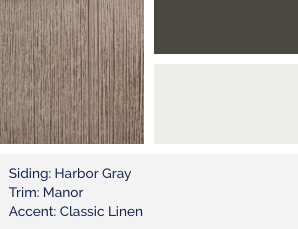 Harbor Gray is a multi-toned gray, rich and complex. Combining this shade’s cool neutral undertones with darker shades such a Manor will bring forth its pensive quality while Classic Linen accents will add an element of lightness. Here’s a gorgeous and powerful color combination of complex and full-bodied Nutmeg, Manor trim and Khaki accents. This color combination makes a strong statement while exuding warmth and comfort. Create an eye-catching traditional exterior with an earthy palette of taupe, brown and red for a warm, sun-baked look. The key is to select one color that pops—here, Barn Red. Cinnamon is a complex, rich amber-toned color. 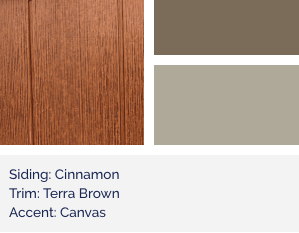 Combined with Terra Brown trim and Canvas accents, this multidimensional shade will warm up your home’s exterior and create a lovely welcoming aura. Meadow is a beautiful and incredibly versatile shade of green. Pair it with White trim and Forest accents for a lovely soft look that will complement your natural surroundings. For more ideas and inspiration on how to choose siding colors, click here.